He tried gym workout with a personal trainer for the longest time but, it did not work. It did not give him the required results. All he did was put on more weight. His family members were worried for him as he was single and yet to be married. 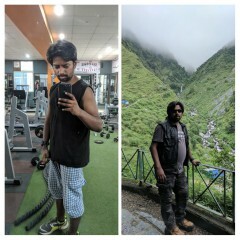 A little gift from his sister and his own determination and dedication helped him get on the fitness path and change things for himself for the better. 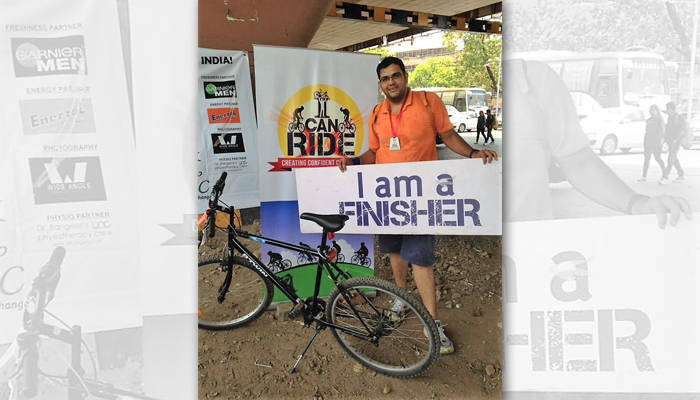 Let’s hear Rahul Singh’s story in his own words. I am a chemical engineer and I work with a firm that deals with Chemicals. Just to give you a background of my physical stature. 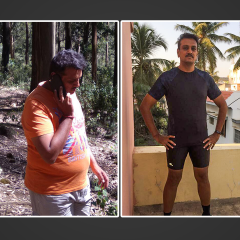 I am 6’2” and my weight was around 112 kg around December’15. I was into fitness. I used to go to the gym regularly. My job involves lots of travelling. I travel across pan India and abroad as well. Whenever I was travelling I used to do treadmill in the hotel gym. But there were no effects felt on me. This was despite the fact that I had a personal trainer and also did intensive work out. My weight never shrunk. My eating habits were not good. I never ate on time and never ate right. I used to have all the junk foods and did not keep a check. Then one day my sister and folks a home were worried for me as I was getting on the heavier side. That is when my sister gifted me a GOQii. The idea behind giving me the band was also to get me fit and healthy before I get married. I did not know anything about GOQii. I started with a fresh slate. My coach is Dr. Sangeeta. She started this journey for me and told me what to do and what to focus on. She said that only if I am dedicated and put in efforts will I feel the change. My health goal was weight reduction. As per my height, the ideal weight I should be is around 88-92 kilos. I got on to a fitness regime. I started cycling and it was Dr. Sangeeta’s idea. I started with around 7-8 km daily and now my stamina has been extended and now I do 100-120 km in a week. Daily I ride about 30 km and weekends I do long rides. Along with my activity, my coach has also given me food tips which I am following. Earlier I was inclined to junk food like McDonalds. Dr. Sangeeta told me to start with raw food, to start eating salads. I started having salad half an hour before eating food because of that I felt less hungry and thus the actual food intake was comparatively less as compared to the previous one. My family members also noticed this and my mom joked saying that one month’s food supplies now lasts for two months. I am focusing more on raw foods such as salads and fruits. I have started eating a fruit every day, at least one fruit a day. Earlier, I used to eat one fruit a week, maybe not even that. Now this has all become a habit, it’s not like I’m forced to do it. If I don’t get fruit in a day I feel my meal is not completed. The result of all this discipline is that I have lost 7-8 kg. I am at 102 kg. All thanks to GOQii. What has amazed me is that I have brought about only a lifestyle change and changed my eating habits and I am doing it diligently. GOQii as a band is very good. 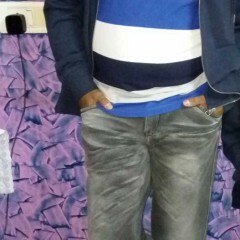 The person using GOQii has to be very honest and very crystal clear in his ideas. You have, to be honest with updating your daily logs and input all your daily activities, daily logs in the app. You have to also be honest with your coach. If you’re hiding things about what you are eating and doing then you are likely to not benefit. I am happy with my coach and she has actually she has taught me so many things and brought new ideas and concepts to the table that has helped me a great deal. With regard to step counts to be very frank, for the past one and a half month, I’m not actually counting my steps. I’m actually counting my kilometres of cycling and I do share it with Dr. Sangeeta on a daily basis. But, I guess on an average daily when I go 30-35 km it’s almost same across my target of 12000 steps. I’ve seen it usually reaches 10000-11000 step mark. And in my daily activity, 3000-4000 are my average steps which I do. So I’m easily at 13000-14000 steps daily. And the target steps for me is 12000, so I cross that. I like this band and I’m one of GOQii’s ardent fans. 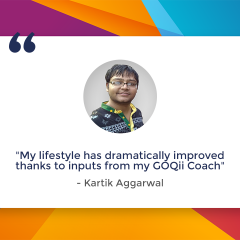 People around me are also seeing the change in me and I am recommending GOQii to people who I think need it. Would recommend Goqii to one and all who are looking for a change in their lifestyles and habits..!! well done bro… m proud of u.. keep working harder.. hope to see u more slim n fit. May be after sometime I will be able to write my own happy story on this blog ?